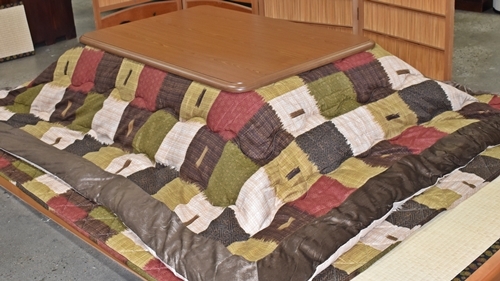 A kotatsu is a low, wooden table frame covered by a futon or heavy blanket, upon which a table top sits. 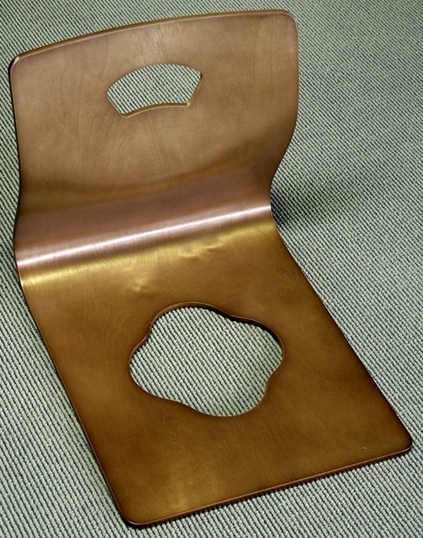 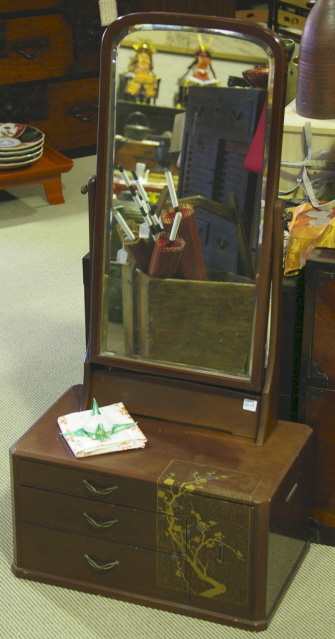 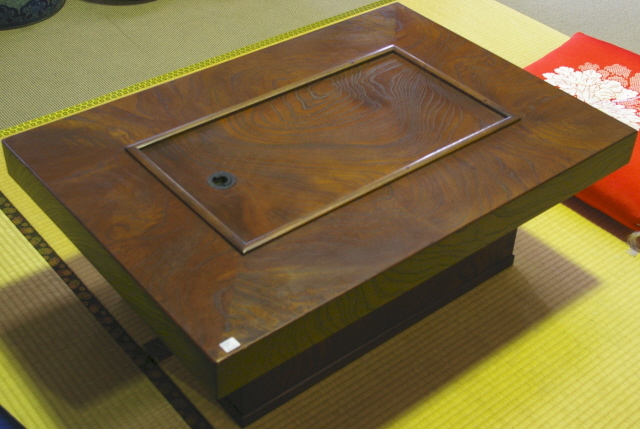 Underneath is a heat source, often built into the table itself. 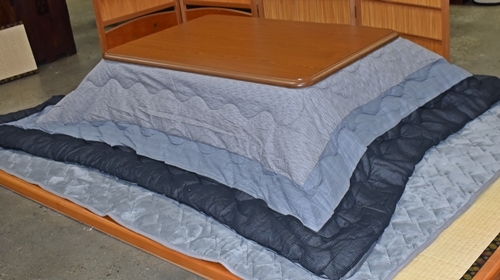 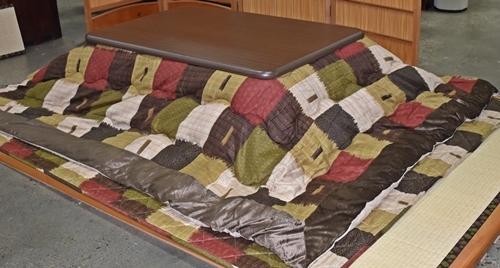 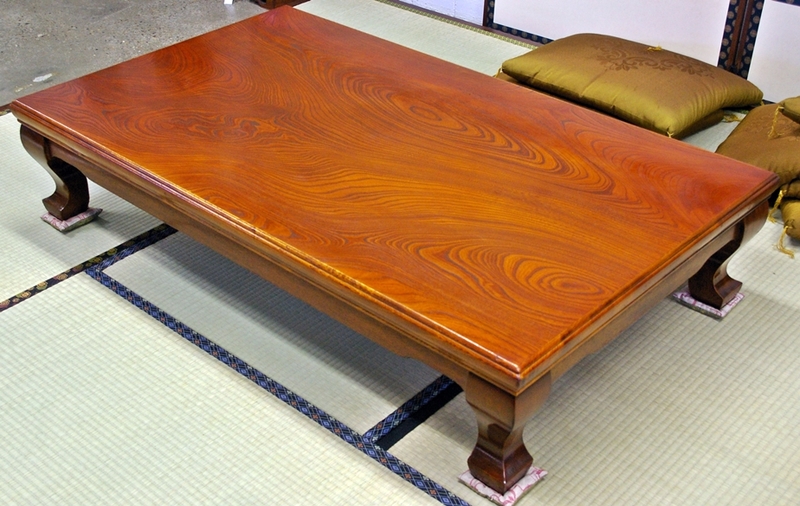 The kotatsu consists of a table with an electric heater attached to the underside of the table. 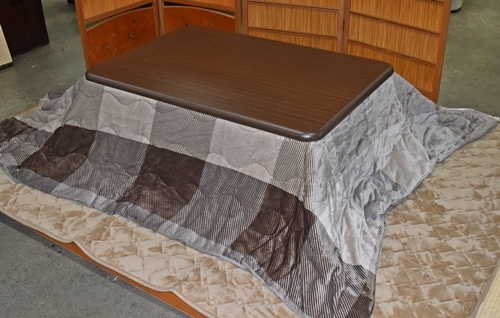 The kotatsu is usually set on a thin futon, like a throw rug. 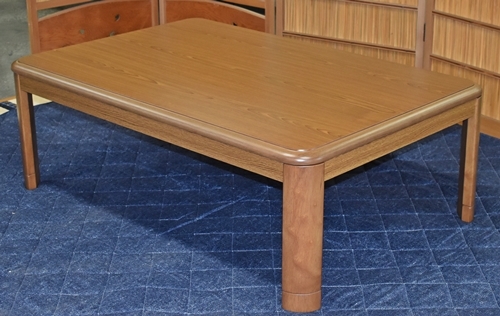 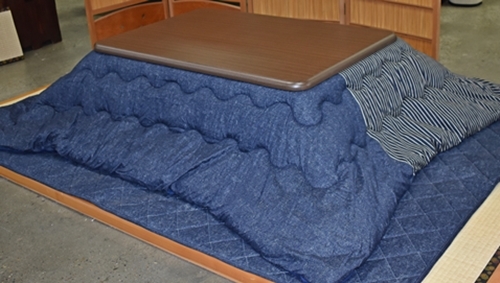 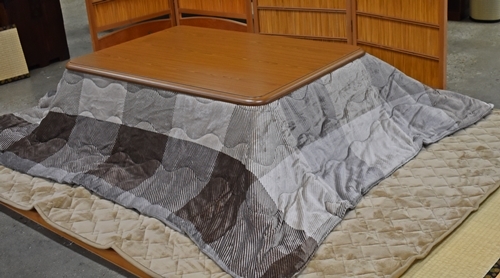 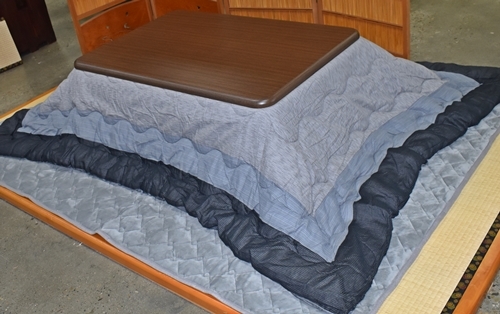 A second futon, this one thicker, like a comforter, is placed over the kotatsu table, with the table top placed on top of that futon. 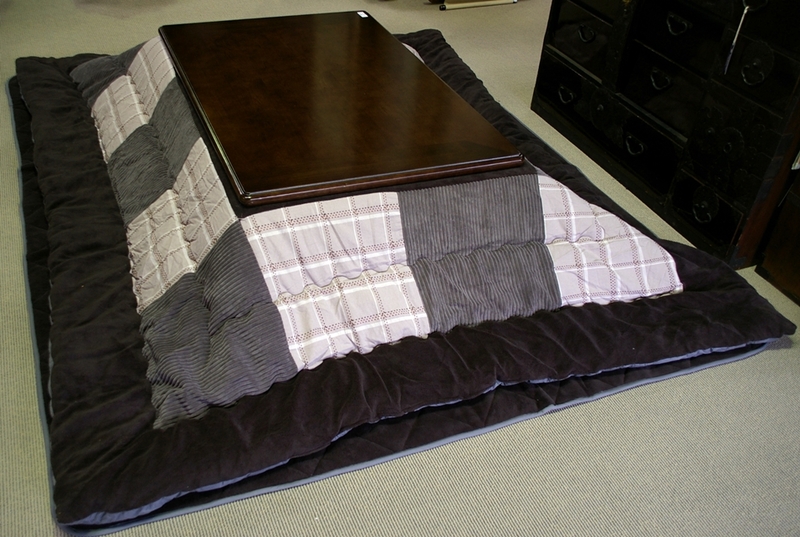 The electric heater attached to the underside of the table heats the space under the rug, and anyone who happens to be snuggled under it. 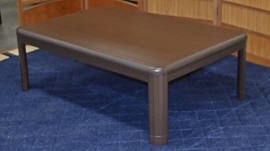 These are made for use in Japan and require a transformer to use in Australia. 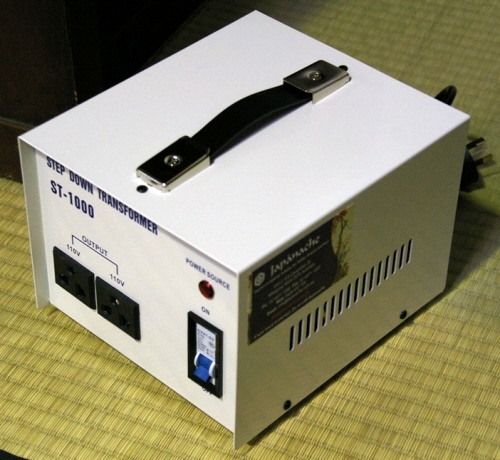 If you do not have a transformer it will blow the heater when you plug it into the power outlet and it will not work. We also supply transformers to allow it to be converted to use safely with our power supply. 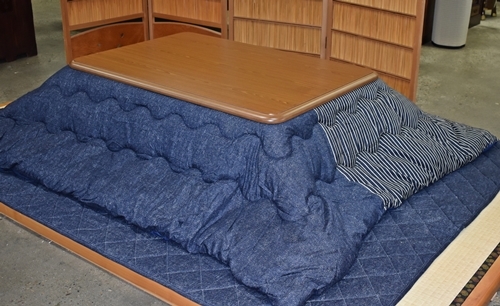 please scroll through the images to choose your futon set.